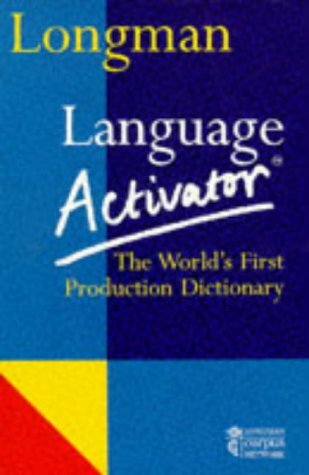 Using definitions from the 2000 word Longman Defining Vocabulary, this activator offers many example sentences showing how words are used, taking many of them from authentic texts and conversations. It aims not to be confusing by offering key words that students should already know, and presents them with a choice of words and phrases on menus, similar to those on a computer screen. The dictionary also explains the use of various grammatical patterns and how to use them in context. For example run for the bus/train, run away/off, under the key word "run", and various examples show the many ways that words can be used.